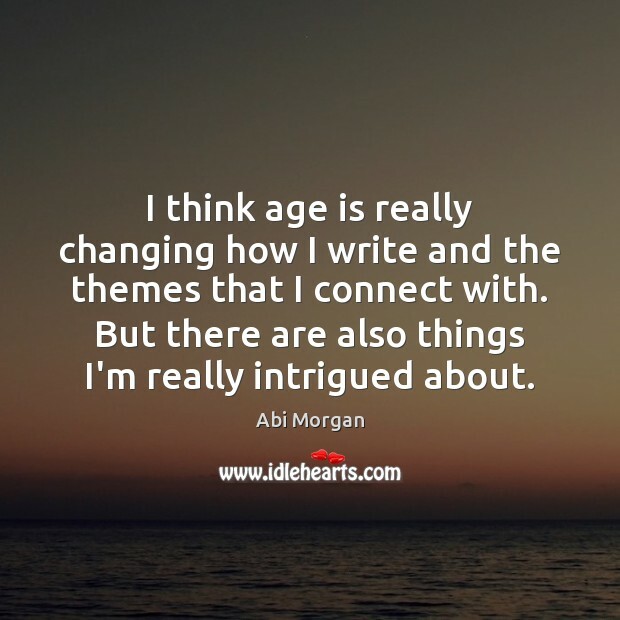 Enjoy the best inspirational, motivational, positive, funny and famous quotes by Abi Morgan. Use words and picture quotations to push forward and inspire you keep going in life! I think age is really changing how I write and the themes that I connect with. But there are also things I'm really intrigued about. 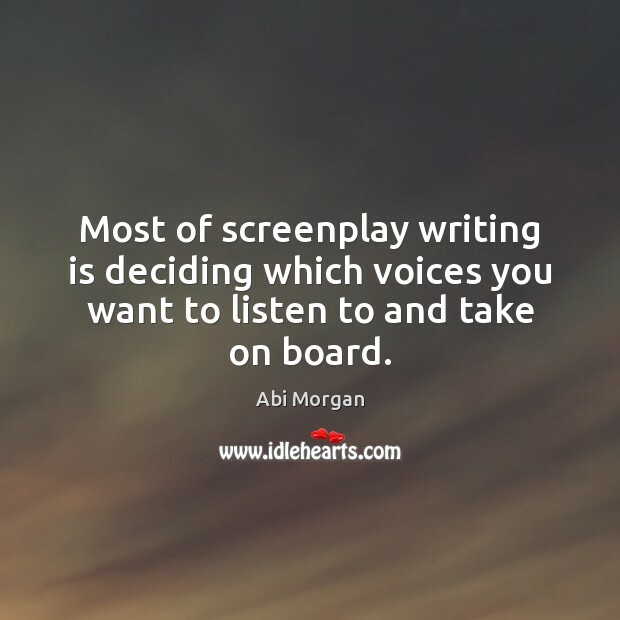 Most of screenplay writing is deciding which voices you want to listen to and take on board. 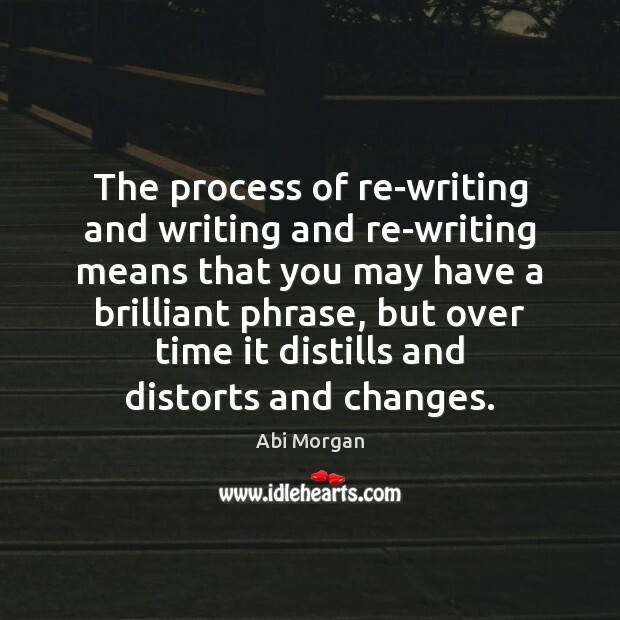 The process of re-writing and writing and re-writing means that you may have a brilliant phrase, but over time it distills and distorts and changes. I find it fascinating to see other people's photos on social media but I don't upload pictures myself. I don't even know how to. 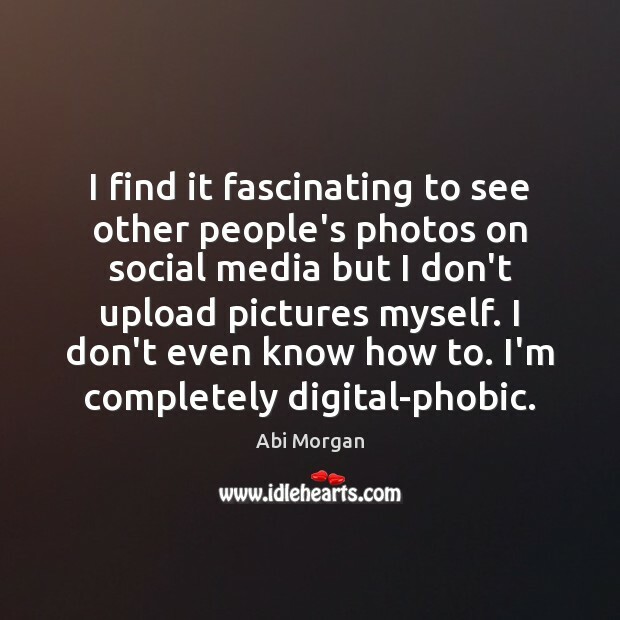 I'm completely digital-phobic. 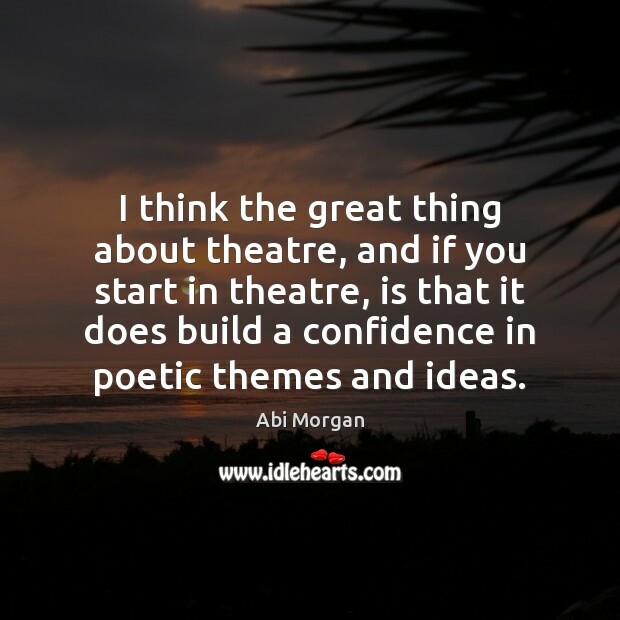 I think the great thing about theatre, and if you start in theatre, is that it does build a confidence in poetic themes and ideas.